Brief Synopsis – Two former sweethearts meet by chance after many years and reminisce about their days together. My Take on it – This is a film that I had never heard of before my good friend Jane of 500 Days of Film recommended it to me a few months back. I was hesitant to watch it for a while since I didn’t know what to expect, but when the opportunity arose earlier this week to watch it, I eagerly did so. The premise is amazingly chosen because it really gives us a storyline that most people can relate to. How many of us could randomly meet an ex-boy/girl friend and wonder what life would have been like if things turned out differently? The way that the characters explore this idea is quite riveting because we never really know what to expect as we slowly uncover layer by layer what these two characters shared years earlier and their feelings of regret for it ending but also content on the path that their lives took on afterwards. 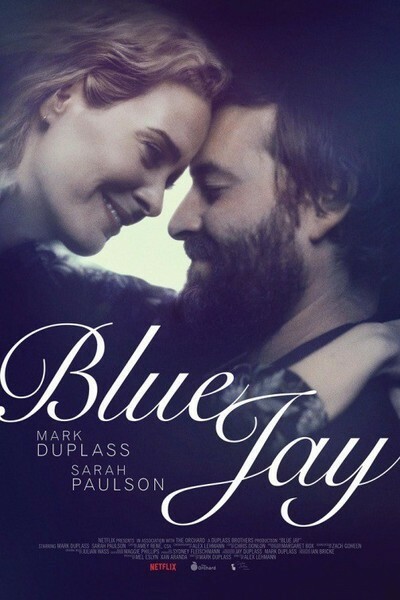 Mark Duplass and Sarah Paulson are both amazing here and the amount of magical chemistry between the two of them helps make this feel even more realistic. The fact that we can easily believe that these characters are genuine and have a shared past is amazing to watch unfold because it all feels so natural. They use props expertly in the story to help us travel back in time with them when they discuss events of the past because it gives us an even grander perspective on their lives. Bottom Line – Such a great premise because it is something that most people can relate to on some level. Loved the way that it all feels so real and genuine and we believe the dilemmas that the characters face because they seem so natural. The use of props as gateways to their shared past is done wonderfully and it helps give us such a great perspective on their lives. Highly Recommended! Nice review. I watched this recently. I thought it was very well done with naturalistic acting. I also liked the way the black and white makes you focus on the characters more. This is another indie gem that a lot of people won’t have seen.